Should your Child Consider the Military Service Academies? I won't dig into details of each of the academies today. I just want to provide a broad overview of what a service academy is, why your child might consider applying, and the path forward. It's important for families to familiarize themselves with these options in 8th, 9th, or 10th grade because successful preparation requires pre-work not needed for traditional colleges. What makes service academies so tough? What might your child miss when compared to a traditional college experience? In addition to being "tougher" overall, there are plenty of experiences that your child might miss out on if they attend a service academy. Why would any teenager subject themselves to this? As "fun" or "part of the college experience" as some of the above might sound, some teenagers actually want to focus on academics, leadership development, service, and athletics. They also like the idea of missing out on the $350K cost of many similarly-regarded colleges. In case you skimmed the above list, let me highlight the last entry. This education and experience is nearly FREE. It's not a partial $2,500 baseball scholarship that may or may not be renewed year-to-year. It's not a $10,000 Rotary Scholarship that gets swallowed whole by the $78,000/year cost of many colleges. It's free (or close to it). As you can see, the steps needed to apply and get admitted into a military service academy can be pretty daunting. Most teens would rather take the easy road. There are some who have longer-term perspectives and appreciate the payoff down the line. We will break these issues down in greater detail in the coming months. My goal this week is to simply make you aware of the military options available. Most kids have no idea that service academies even exist. If college affordability is a big concern, you now know that it's possible to receive one of the best educations in the world - for free. 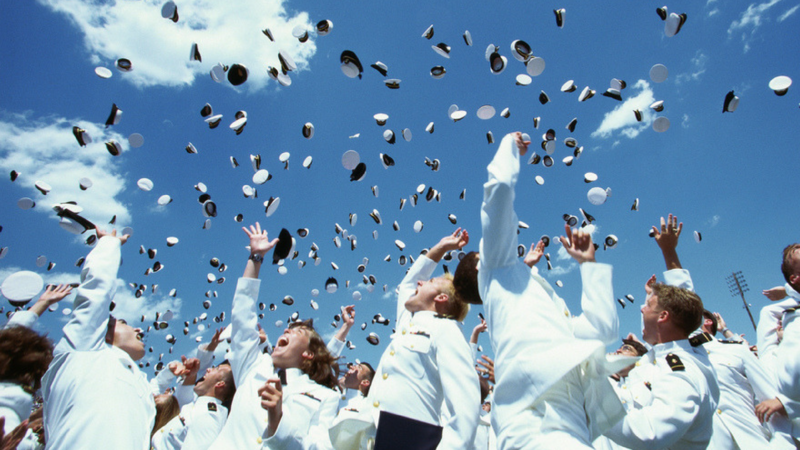 Wondering whether your child has what it takes to get into the Naval Academy? Take this QUIZ. Do you have a child who could thrive in this environment? PrepWell Academy will provide a blueprint to get them there. In the coming weeks, we will discuss another option that is a little less intense than the service academies - known as ROTC (Reserve Officer Training Corps).